Visit our specially designed “education stations to learn about creatures that are nocturnal, misunderstood, or just plain unusual! Live wildlife, crafts, activites, games and prizes are waiting for you! This program is recommended for families with children ages 4 and up. Adults without kids are always welcomed. 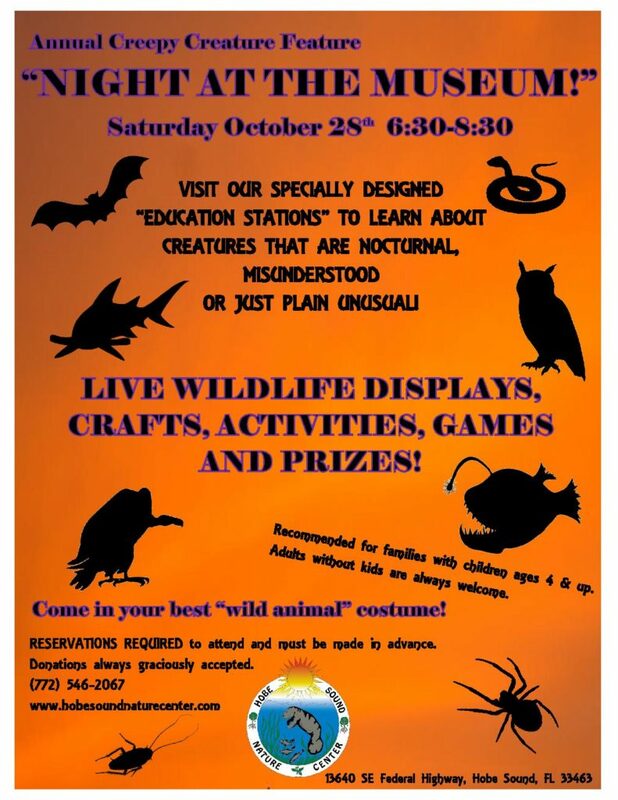 Come in your best “wild animal”costume! For more information and reservations, contact the Nature Center at (772) 546-2067 or via our website, www.hobesoundnaturecenter.com.